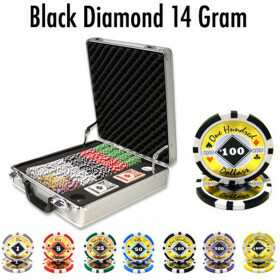 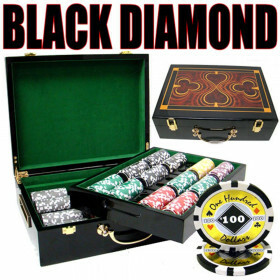 Roll of 25 Black Diamond 14 gram poker chips. 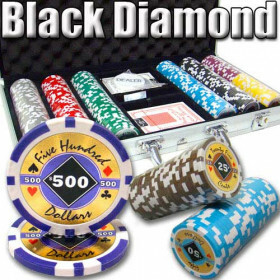 Select color below. 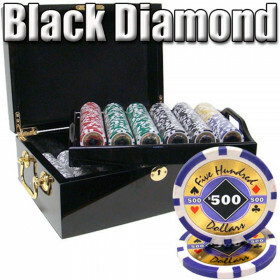 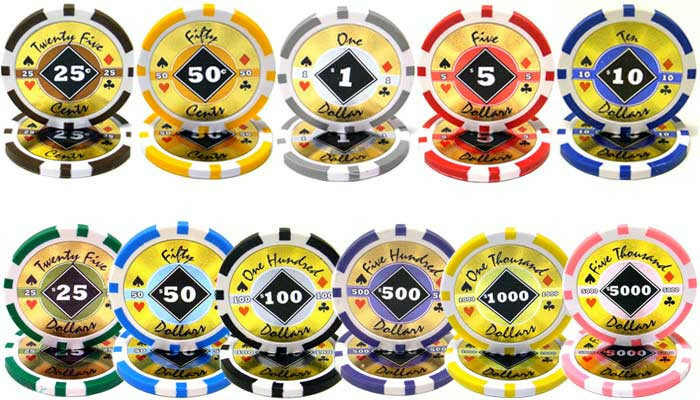 Another fine set of poker chips, the Black Diamond series featuers a laser graphic inlay with a black diamond and the denomination printed in the center. 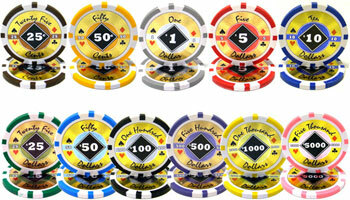 The denomination is written out on the chip in a handwritten style and the four suits are displayed on the sides. 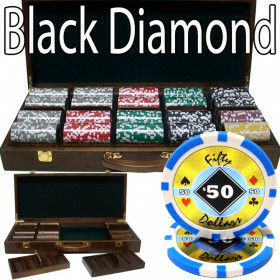 This beautiful inlay is set on the heavy 14 gram clay composite poker chip. 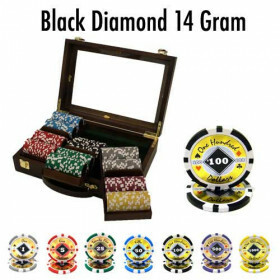 These chips look and feel great.